Samantha (Mandy) Joye, ECOGIG Project Director and University of Georgia Athletic Association Professor of Arts and Sciences, has been elected as a Fellow of the American Geophysical Union. An international nonprofit scientific association with 60,000 members in 137 countries, the AGU is a worldwide scientific community, promoting discovery in Earth and space science for the benefit of humanity. Each year since 1962, the American Geophysical Union has elected as Fellows members whose visionary leadership and scientific excellence have fundamentally advanced research in their respective fields. This year, 61 members will join the 2017 class of Fellows. "Congratulations to Dr. Joye on this outstanding honor," said University of Georgia President Jere W. Morehead. "It represents a lifetime of dedicated scholarship and the high regard Dr. Joye's colleagues have for her as a world-class scientist." "To be named a Fellow of the American Geophysical Union is such a tremendous honor and one that I could never have achieved by myself. I would not be in this position were it not for an amazing group of former and current undergraduate and graduate students and postdoctoral research scientists," Joye said. "I am so fortunate to have the most incredible and wonderful colleagues, especially those who share my love and fascination of the Gulf of Mexico ecosystem, and an incredible team that works so hard to advance our Gulf ecosystem research." 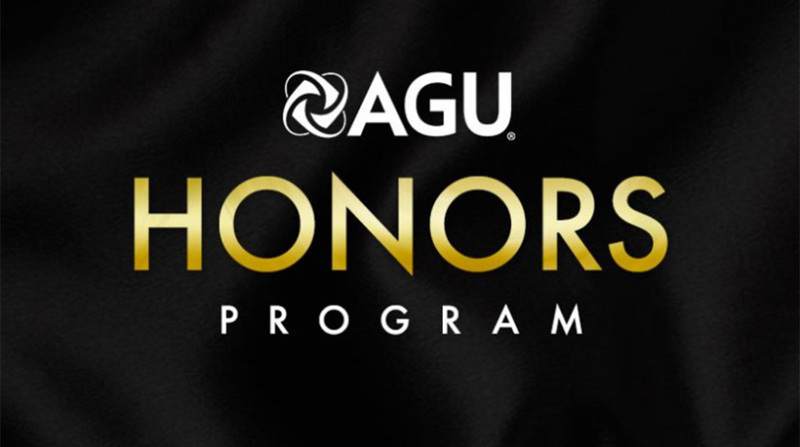 The Fellows program recognizes AGU members who have made exceptional contributions to Earth and space sciences as valued by their peers and vetted by a committee of Fellows. The Fellows program serves to meet the need for identified authorities to advise, upon request, the various government agencies and other organizations outside the Earth and space sciences. "Dr. Joye is tenacious in her pursuit of a deeper understanding of fundamental marine processes that have far-reaching impacts, and I am delighted that her significant contributions have been recognized by her colleagues in the American Geophysical Union," said UGA Senior Vice President for Academic Affairs and Provost Pamela Whitten. "The enthusiasm she brings to her work is infectious, and she is an inspiration to future scientists here on campus and beyond." This article has been modified from its original source. The original article can be found online here.